It’s a heavy-weight clash at the Liberty Stadium this evening as Swansea City entertain Leeds United live on Sky Sports. With both teams starting the season strong, Swansea sponsors Bet UK are predicting Over 2.5 goals for this fixture – see the official preview and predictions here. Leeds head to Wales in red-hot form as new boss Marcelo Bielsa has made the perfect start to life in England having won all three of his Championship games so far. After beating Stoke City and Derby County, the Whites eased to an impressive 2-0 victory over Rotherham at Elland Road on Saturday so they can move above Middlesbrough and go two points clear at the top of the table with a win tonight. As for Swansea, they head in to the game on seven points having won two and drawn the other of their three games so far after being held by Birmingham at the weekend. Bielsa will have to make-do without defender Pontus Jansson as the Swede suffered a back injury in training and misses the trip to south Wales but the Argentinean coach is likely to stick with the same back four that kept a clean sheet last time out. Leeds will continue to be without Adam Forshaw as he’s still nursing an ankle injury while Stuart Dallas is also missing with a thigh problem. Striker Kemar Roofe is expected to recover from a minor knock that he suffered after scoring during the win over Rotherham so he should continue to lead the line up front. Jack Harrison is pushing for a recall to the starting eleven but Bielsa may opt to stick with an unchanged side so the 21-year-old may have to make do with a place on the bench once again. Swansea have no fresh injury concerns ahead of the game. Goalkeeper Kristoffer Nordfeldt is progressing well in his recovery from a groin injury but this game comes too soon so Erwin Mulder is set to continue in goal. Striker Wilfried Bony remains a long-term absentee due to a knee injury so boss Graham Potter could stick with the side that drew 0-0 with Birmingham three days ago. 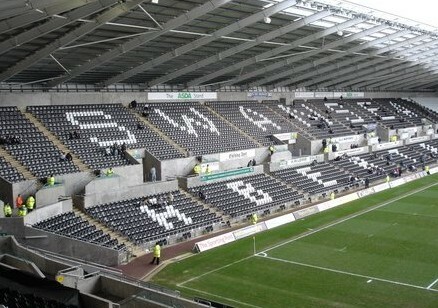 Swansea City: Mulder; Roberts, Van der Hoorn, Rodon, Olsson; Fulton, Celina, Carroll, Asoro, McBurnie, McKay. Leeds United: Peacock-Farrell; Ayling, Berardi, Cooper, Douglas; Phillips; P Hernandez, S Saiz, Klich, Alioski; Roofe. Despite being the home team, Swansea are only 2/1 to win tonight with Leeds the 13/10 favourites with the bookmakers. Both sides have created plenty of goal-scoring chances so far this season we we should see goal in Wales tonight.